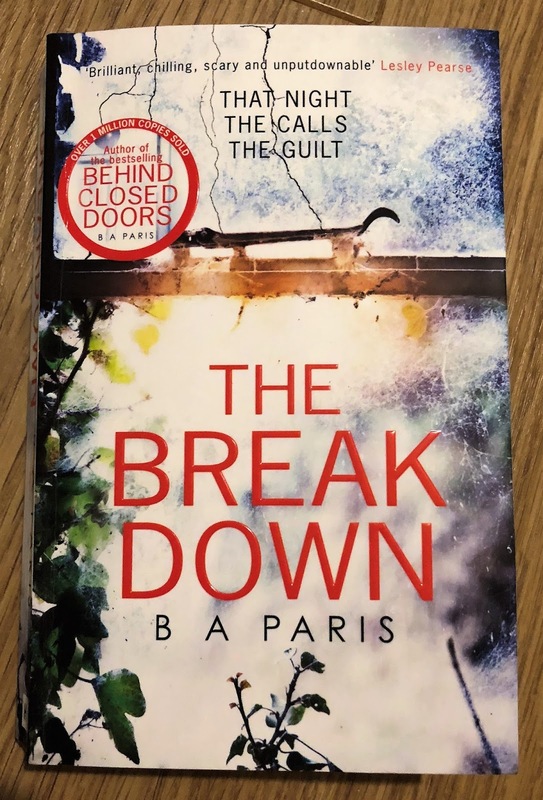 I recently read, but didn't review, Behind Closed Doors by B A Paris. It was Behind Closed Doors that prompted me to pick up The Breakdown, which has been on my TBR shelf for some time. 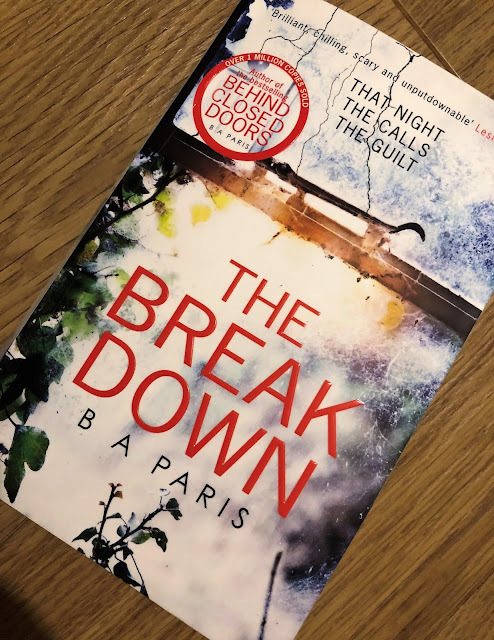 Both Behind Closed Doors and The Breakdown are truly fantastic, and will go down in history as two of my favourite books EVA. B A Paris has uncovered the secret formula for creating tense, atmospheric, haunting thrillers. She can write them like no one else I've ever read. And I cannot praise her novels, or recommend her books, highly or often enough. Full of so many twists and turns, totally unpredictable, and with endings that will leave you SHOOK, if I haven't already convinced you to rush right out and buy all of her books then I don't know what else to say...Other than, DO IT. DO IT NOW. Have you read anything by B A Paris?